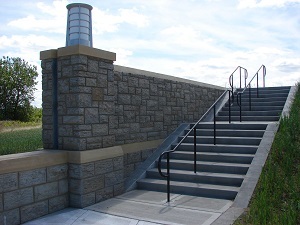 Our Other Product Lines – Milestones, Inc.
Glass Fiber Reinforced Concrete (GFRC) is a thin pre-cast concrete reinforced with special glass fibers. This is a heavier material (about five times heavier than the polyurethane) but is incredibly strong and durable. 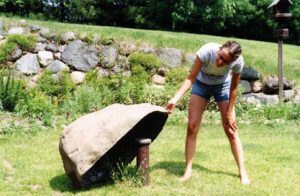 GFRC boulders are best used where access is needed only on occasion and/or boulder may need to take regular abuse. Polyurethane is our light version — so light that they can blow away in the wind (hence the name Tumble Stone™). This option comes as a kit with eyebolts and small stakes so that they can be anchored to the ground. Concrete countertops have become the look for the modern home. They offer incredible durability and versatility, while also giving your countertop a look and feel that is unlike any other material. Milestones has been making concrete countertops since 2001. 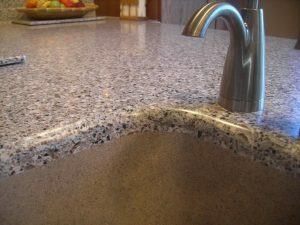 Fiberflex Concrete – Milestones Fiberflex countertops are spray cast Glass Fiber Reinforced Concrete. They have the ultimate in flexibility, shipability, and impact resistance. 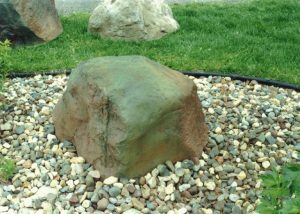 They can be cast in any of the available six colors, or standard gray concrete, and can be chemically stained or finished as cast. PolishCast Concrete – Milestones PolishCast countertops are made from our premixed Fiber Cast Self-Consolidating Concrete (SCC) material. These concrete countertops are produced for situations where the countertop is to be polished, etched, or engraved in some way. They are reinforced with a very fine monofilament alkaline resistant mineral fiber and can be polished as deeply into the surface as needed without fear of exposing any unsightly fibers. These countertops can also be cast in any of the six available colors, or can be cast in natural concrete. Countertop Premix – Milestones Fiber Cast Self-Consolidating Concrete Countertop mix is a high strength two-part premix that is loaded with alkaline resistant high strength fibers and densifying agents. The premeasured liquid component has a high quality acrylic polymer and a high-end super plasticizer. Premix is available in six standard colors and natural concrete.